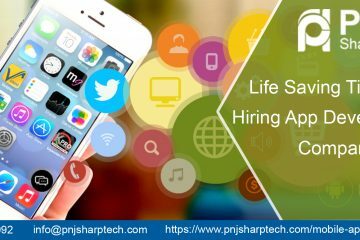 Why Mobile App Required for Future Business Growth? What comes firstly in your mind, when we discuss the word “app” and how mobile app help in the business development? Mobile applications have opened the doors for small-scale enterprises. In the recent era, mobile app development is playing a big role in customer relationship management to facilitate payments to recording costs and fuelling the business raised very fast. Digital revolution affected industries through smartphone apps compared with any other source. Most significantly, these applications have improved the way, customers interact with businesses and brands. In this era of mobility, it is not only tough but also impossible to live without smartphones. The main reason behind this steadiness is the mobile apps that have made human life so simple. These mobile apps are varying the style of living of human beings. To enjoy new things, we should have many mobile applications. It indicates that how beneficial having a mobile app for trade will be in the coming future. There are many benefits of the mobile app for businesses, be it small or large. The growth of industry & brand awareness and increased revenue are few benefits of having a mobile app. This is the era of the latest mobile and smartphone technology. To obtain maximum customer reach, you must to be on a smartphone. In this manner, a mobile application will assist a business or individual to obtain targeted clients in a convenient way. A strong mobile application importantly increases your customer base and their engagement with your trade which assists to grow your ROI. If we discuss this development in terms of online reputation, it assists you to obtain higher ranks in various search results. You need to think twice when you obtain a solution of your necessity in your mobile phone. Why it boosts the customer experience and offers them a golden chance to visit your business again and again. One of the main reasons is that easy accessibility of your products and services. Everyone knows that no one has enough time to stay to get anything, so the mobile solution is the right option for you. A mobile application is more beneficial to promote your products and services directly and indirectly in both the ways. What is the actual reason behind this fact? The best and perfect answer to this question is that we know that mobiles are the best way of communication and for folks who use social media platforms. Several small-scale businesses ignore the usage of mobile applications and they feel fear from its growth cost but it is not very expensive if you consider its benefits. Therefore, if you expect a huge return on the investment, don’t worry more and have an application for your trade. To obtain good business results, it is very essential that the client must appreciate your products and services provided by you. Allowing the customers for word of mouth and encouragement simply obtain an idea of people’s thinking about their trade by obtaining online reviews, feedbacks, and responses from social media platforms. With the assistance of an application, industries can obtain an idea of folk’s thoughtful about their trade. Thus, mobile app development services are very necessary to get a quick hike in your business growth. This service is really an important factor for small scale business owners. Conclusion- It is true that small scale business people want to invest much more money in creating mobile apps to increase revenue and get more customer engagement.